While the comedy had several unforgettable scenes, one in particular concerned a rather unfriendly small dog of questionable pedigree named Puffy. During the course of the movie, the little pooch is unintentionally fed some methamphetamines, and encounters a rare doggy accident – taking a flying jump at someone, missing them and sailing out of a window several stories up. 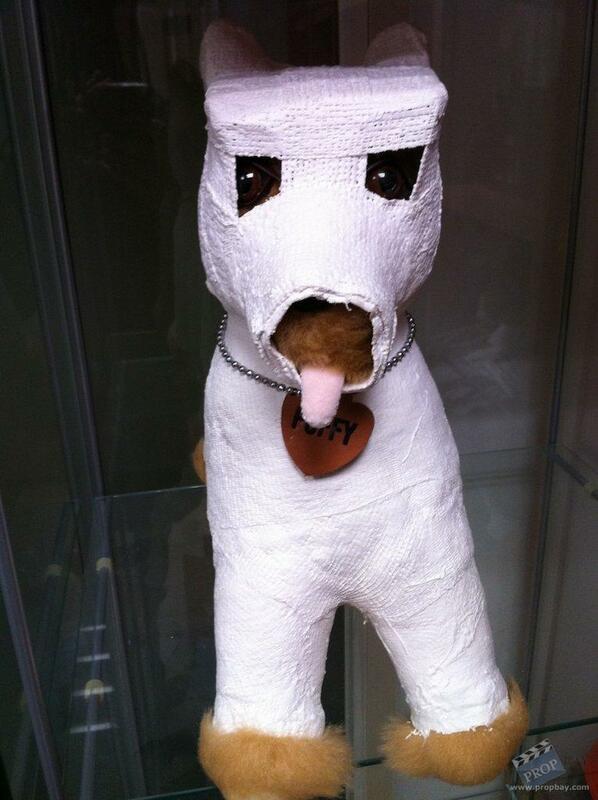 The next time Puffy’s seen on screen, he’s sporting a full body cast, able to move only his tongue. But even then, the incapacitated canine still experiences a few misadventures – such as being accidentally left on the roof of an SUV being driven home from the supermarket – that could leave even the most humorless in tears from laughing. The makers of Mary, 20th Century Fox Studios, correctly believed the post-trauma Puffy would be one of those standout moments filmgoers talk about long after the movie’s over. It was therefore decided that the dog would be able to generate the desired amount of commotion to help get word of the film out among the public. 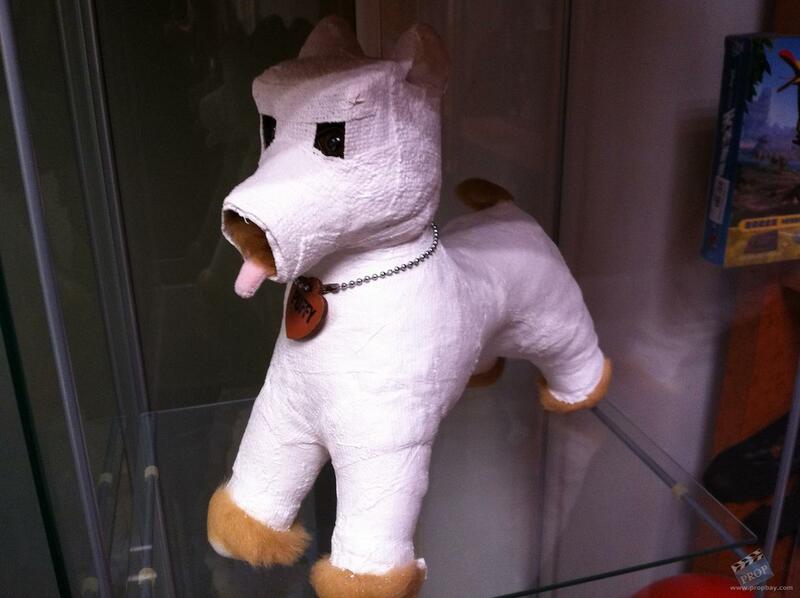 Just before its debut, members of the media received an ordinary plush dog, complete with a realistic-looking rubber tongue, wrapped in a real body cast and wearing tags bearing his name and the name of the film. 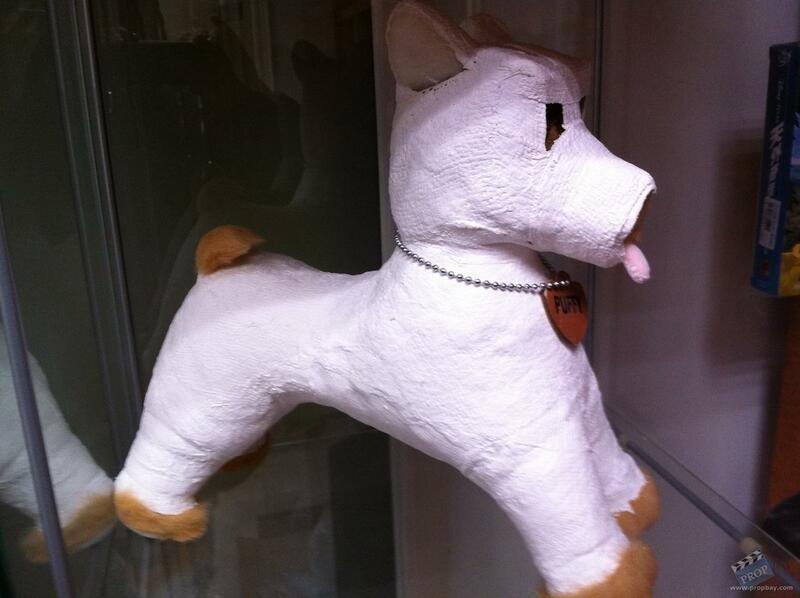 The final touch: The dogs were individually wrapped and packed into imprinted dog cages. 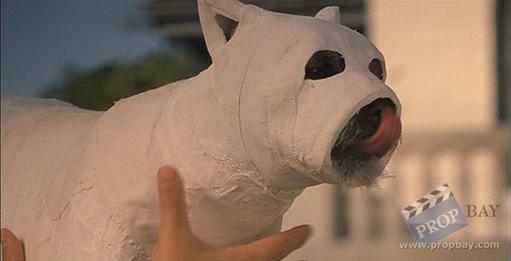 This is one of the few Puffy dogs that Fox used to promote the film among the press and media. Added: 02-18-2012 - Viewed: 1438 times.